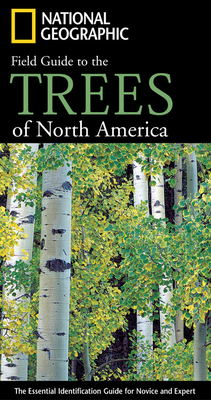 Ideal for backpacks and back pockets alike, this indispensable reference makes it easy to identify any tree commonly encountered between the Canadian Arctic and Mexico and from the Atlantic to the Pacificmore than 350 species in all. It's a natural for birders, hikers, and other outdoorsy types, but even confirmed urbanites will find plenty of information on city trees as well. More than 1,000 annotated illustrations depict the height, shape, foliage, buds and seed of each species, with trees bearing a strong resemblance shown side by side to highlight their distinctive differences. The accompanying text and system of symbols provide the important details on features and habitat essential to quick, reliable identifications, while graphical keys indicate genus and species, listing both scientific and common names. The guide also includes a map charting tree hardiness and distribution based on widely recognized climactic zones; general information about individual species traits and history, a glossary; and more. Keith Rushforth is an arboriculturalist, an expert urban forester, and the author of several previous books on tree identification and gardening using trees and shrubs. He lives in England. Charles Hollis holds a doctorate in Forest Biology and was an Associate Professor of Forestry at the University of Florida. A member of the International Society of Arboriculture, he lives in Texas.